A few days ago I posted about making almond milk. That recipe was special treat, but normally I make plain ol’ almond milk, with just almonds and water (and sometimes a wee bit of vanilla extract). 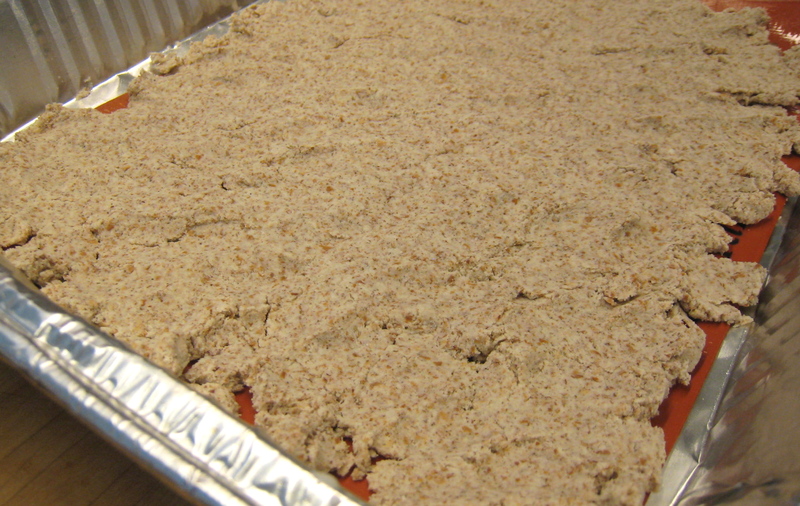 Afterwards, you have a big glop of almond pulp left over, which doesn’t contain a whole lot of flavor. You could throw it away, but almonds aren’t cheap and it seems like a waste to just toss it. You could compost it, but living in the city, I don’t exactly have a lot of space for composting or a garden (although it’s on my bucket list!). What I like to do with almond pulp is dehydrate it and make some fluffy, delicious, gluten free almond flour! 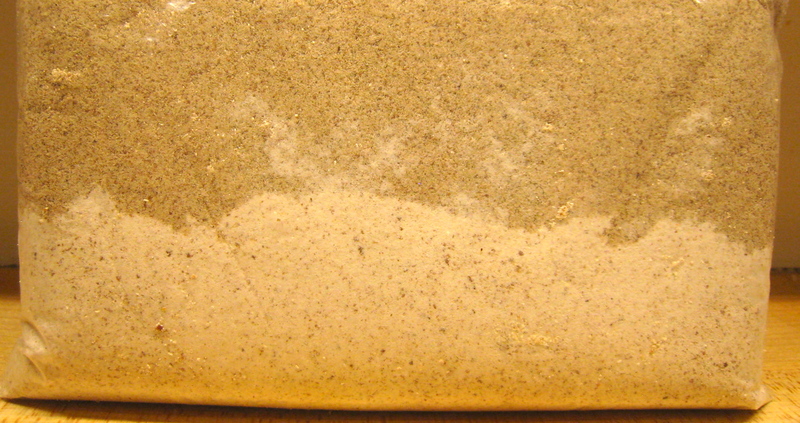 Almond flour can be used to replace about one half of the regular flour used in any recipe. It can also be combined with other gluten free flours to make a great GF baking mix. Since most of the almond flavor went into the almond milk, the flour doesn’t impart a huge almond flavor to baked goods. But the flavor IS different than wheat flour, almost sweeter without being sweet. Making almond flour from almond pulp is really simple. Most people save up the almond pulp in the freezer and make one big batch of flour. However, I make a batch every time I make the milk because otherwise the pulp would sit in my freezer until the next ice age! My freezer is the place that good intentions go to get freezer burnt and tossed out… It only takes a few minutes of actual effort, so making it as I go doesn’t feel inefficient to me. First, spread your almond pulp out on a tray or pan, as thin as you can get it. It wont stick to anything, so don’t grease the pan. If you have a dehydrator, set it to about 110 degrees. But if you only have an oven, set it to the lowest temperature possible (mine goes to 120 degrees). Let the pulp dehydrate for between 4 and 8 hours, depending on the temperature of your oven. About halfway through, break of the sheet of almond paste into small bits so that the air can circulate though and dry everything completely. Once the almond pulp iscompletely dry, place the chunks into a high-speed blender, clean coffee grinder, spice grinder or food processor. Grind up the almond chunks until they are a finely texture flour. That’s it! I store the almond flour in the freezer, and use it as I bake. One cup of almonds used in almond milk will yield about 1/2 cup of almond flour. Here you can see the difference in color between flour that was about 75% de-skinned almonds and the cinnamon/coconut almond flour I made in the previous post. Surprisingly, the taste isn’t very different between the two, despite the difference in ingredients! I think it’s because most of the flavor went into the milk. Here’s a Chocolate Chip Cookie recipe (using almond flour) that I’ve been meaning to make, which will help get you started in the almond flour baking adventure! A really interesting (and informative) post. I’ve been wondering about Almond flour for awhile now as I plan on making macaroons. Please forgive me if this is a silly question but is almond flour the same thing as ground almonds? I always see the latter in small bags in the supermarkets but never the former. The two terms (almond flour/ground almonds) are often used interchangeably, but in this case they do differ. The almond flour made using the pulp from almond milk will have much of the fats and sugars removed. I would not recommend using this flour for the macarons, because I suspect the fats in the almonds are important for creating the chewy texture. 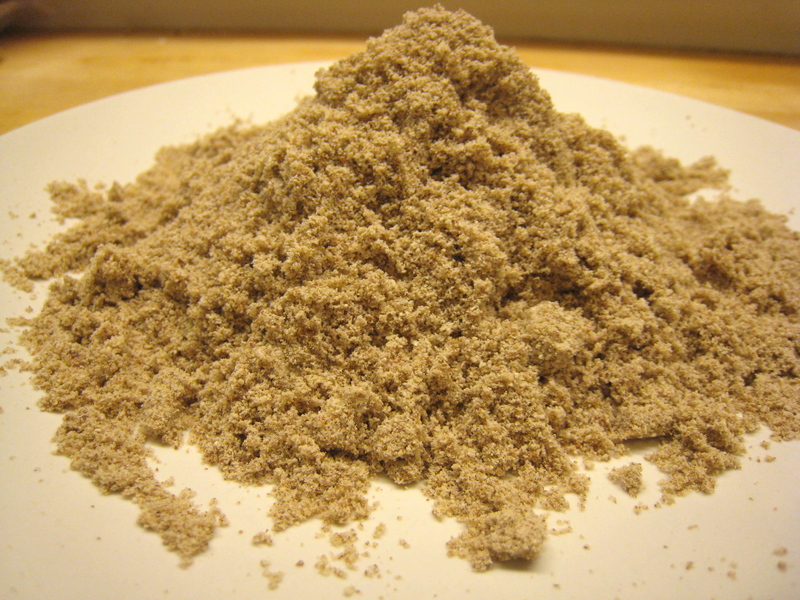 This almond flour behaves more like wheat flour than ground almonds. Thank you so much for the info! I don’t own a dehydrator and I love your instructions for oven drying. I use almond flour in baking but this will be my first time using this after making almond milk. Gotta try this out! 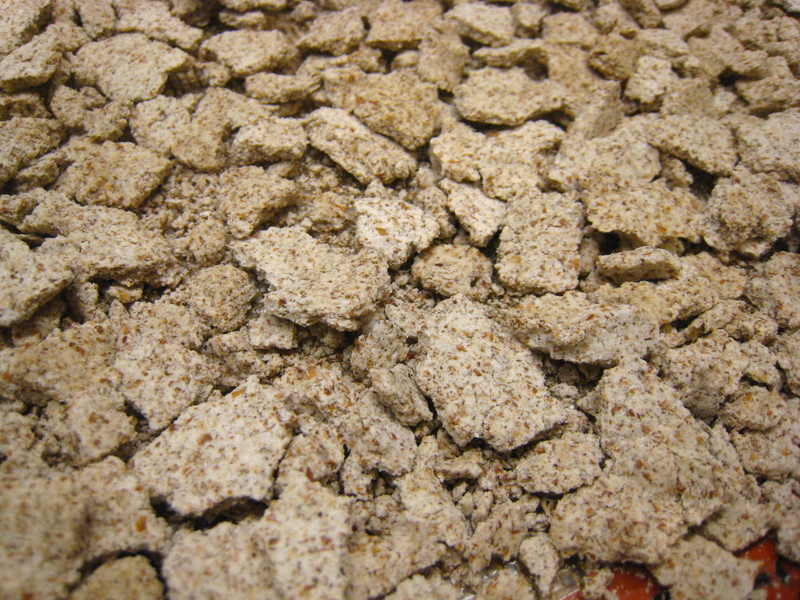 I don’t have a dehydrator or oven, any other way of dehydrating my almond milk pulp? Thank u. Your my new idol! Almond milk, smoothies, and homemade almond flour! Amazing!!!! I can;t wait to try this! I eat gluten free and flours are so expensive…this would be two recipes in one! Enter your email address to follow Make it Messy and receive notifications of new posts by email.